Did you know that most people only use 10% of their Slack? These simple tips will help you unlock a whole world of potential. Bonus: There are dozens of other handy keyboard shortcuts and ⌘+? (Ctrl+? on Windows) will reveal them all. Missed that last question? Opening Recent Mentions in the Flexpane menu will give you one tidy list of every time someone has mentioned your name or one of your highlight words. Click recent ones to jump straight to the right point in the right conversation. When you want to come back to a message later, hold down the Option (Alt) key while clicking on it. That will mark it as unread and you can switch to another conversation with the peace of mind that comes from knowing Slack will keep your place. One “long press” (tap & hold) on a message in the mobile apps will give you a special menu that includes the option to mark as unread. And if you happen to want to mark things as read rather than unread, you can. Hit the Esc key to mark one channel as read, Shift+Esc to mark ALL as read. BOOM. DONE. 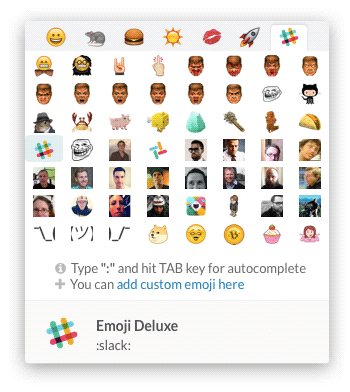 On the customize page, you can create custom emoji, add your own version of the welcome messages that your team will see on load screens, and produce slackbot responses to amuse, delight, inform and motivate people, and make Slack feel like home. Simple and linkable, when you want to go back in time and bring an insightful idea back to the conversation. Like ripping a hole in the space-time continuum with your mouse. Having autocomplete for names is great, but on a large team it can be too much. In Preferences > Advanced Options, check one simple box to make it so the autocomplete names function only kicks in when the “@” character is used. That way “William” and “Andrea” won’t keep popping up while you’re only wanting to type “will” and “and”. Every message, file and comment can be starred. While catching up, add stars to anything you need to reply to or take action on. 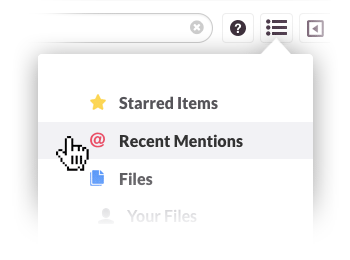 You can then use the Flexpane menu to view a list of everything you’ve starred, ordered by time. PAF! Instant organization. Pressing the Up arrow key will let you edit your most recent message in whatever channel you’re in. If you need to edit a message older than the most recent one you typed, you’ll find that option in the little ‘cog’ menu that appears when you hover over the message. And if you want to edit in the mobile apps, just tap & hold the message you want to edit in order to get the menu. When you know what you’re looking for, adding clever little search modifiers like “in:#channel” or “from:user” or “has:link” can help you zero in. Using the Tab key will autocomplete user names and channel names. A full list of modifiers can be found here. We understand. Just add “during:month” to your search. Set up the Google Docs integration and those ugly URLs you paste will become proper files with useful titles. 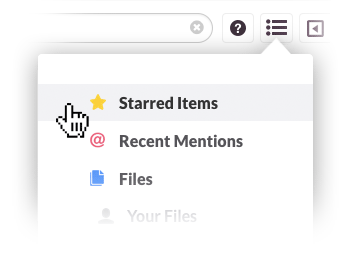 Plus, the file contents themselves will be indexed and searchable within Slack. Twitter streams — tweets at you, about you, or about anything — can be fed into a channel, so you never miss a chance to connect. Google Hangouts from within the channel? Yes: “Can you hop on a call?” “Sure.” Types the /hangout command. Now they have a Google Hangout going! Whaaat?! Cool. • Using *this* to embolden this. …will indent everything that’s typed or pasted after it, preserving linebreaks. Ta-da! Whatever you write looks 800% more authoritative! 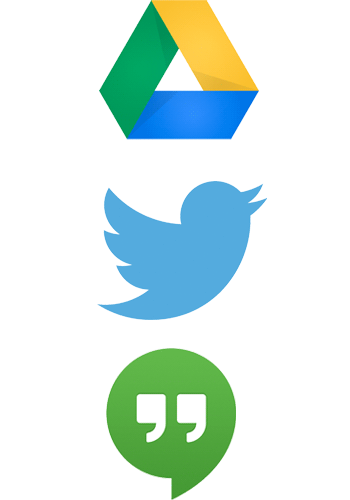 We tweet nearly every little change we make to Slack. And we’re constantly changing, improving and listening, so following @SlackHQ is the quickest route to discovering top tips and tricks like these for making your working life less busy (and more lovely) with Slack.